Thanks for visiting our website! We’re promoting specials on our backyard design and swimming pool design & installation services on this page. Please check back later if you can’t find something you like. 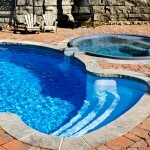 At Lake Norman Signature Pools & Patios, we believe building a custom pool should be an affordable luxury. Our specials back up this commitment to our customers and are designed to help our valued clients get the best deal possible on the pool they’ve been dreaming of. We would be more than happy to go over our specials in-person or over the phone with you, so please don’t hesitate to contact us if you want further information. As the premier pool builder in the Lake Norman area, we are eager to get started building the luxury pool of your dreams!